This tour is not suitable for infants under 3 years. 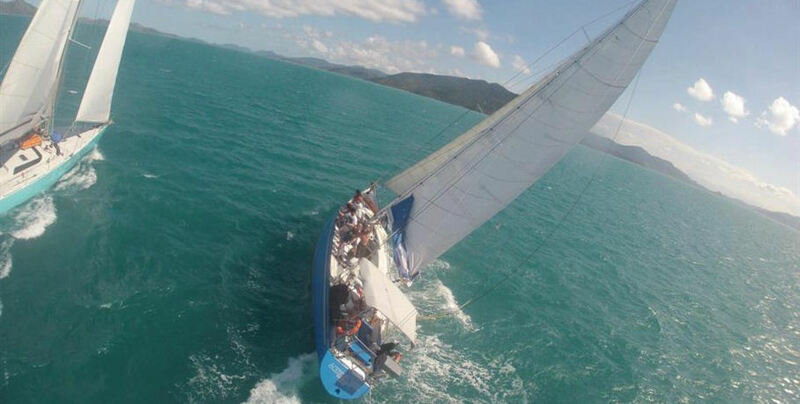 Sail the Whitsundays on the iconic Southern Cross! 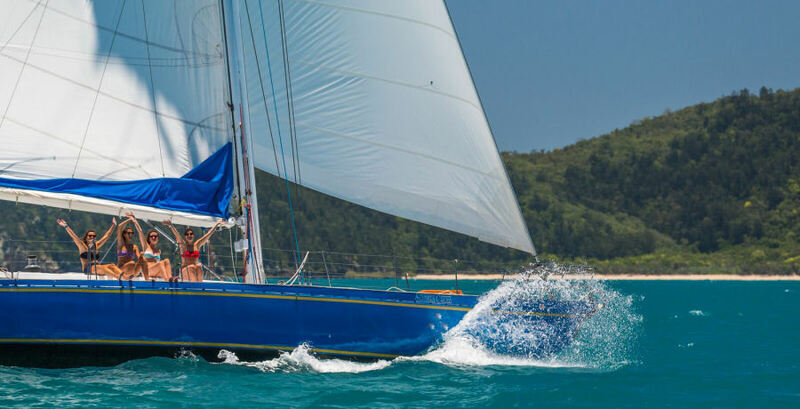 This yacht, named for the most recognisable southern hemisphere constellation, comes from an incredible racing career to retire in the Whitsundays. But this girl is far from having been “put out to pasture”! 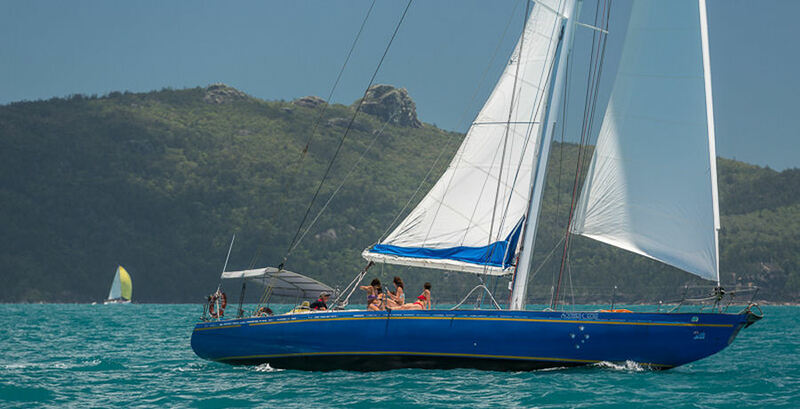 She still holds the spirit of racing, with modifications for group tour comfort, and will take you on a journey through the Coral Sea that you will never forget. Southern Cross has features including a shaded cockpit, comfortable bathroom, and downstairs lounge area- with of course plenty of deck space to enjoy the salty sea breeze and sunshine. 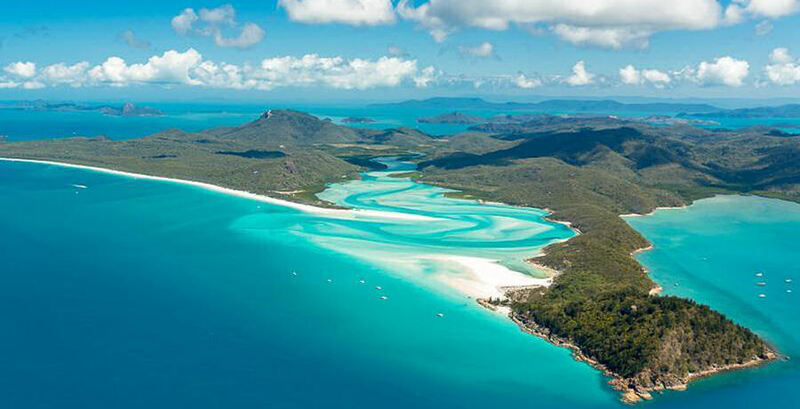 Your tour will take you through the Great Barrier Reef Marine Park to the most iconic Whitsunday site- Whitehaven Beach, as well as the best snorkelling in Australia. 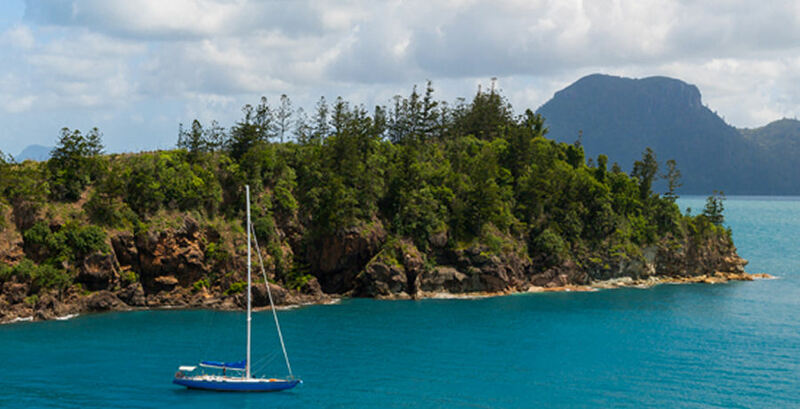 The courtesy coach will collect you from your Airlie Beach accommodation and deliver you to the meeting point at Abell Point Marina in time for an 8am departure. The friendly crew will provide on board morning tea as you sail across the Whitsunday Passage to your first destination. Ask questions of the knowledgeable crew and, if you wish, help sail this incredible ex-racer! 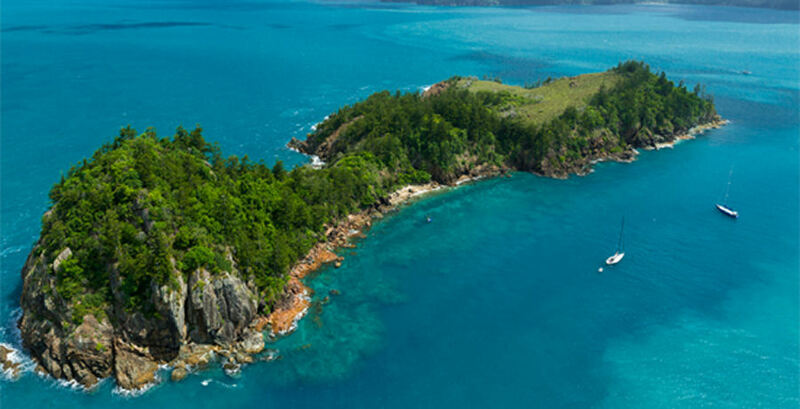 Your first destination is the beautiful sheltered Tongue Bay where you will be transferred ashore by tender and taken on a short bushwalk through the National Park of Whitsunday Island. Prepare to be amazed by the spectacular view from the Hill Inlet Lookout over the shifting sands and swirling ocean below. Don’t forget your camera! 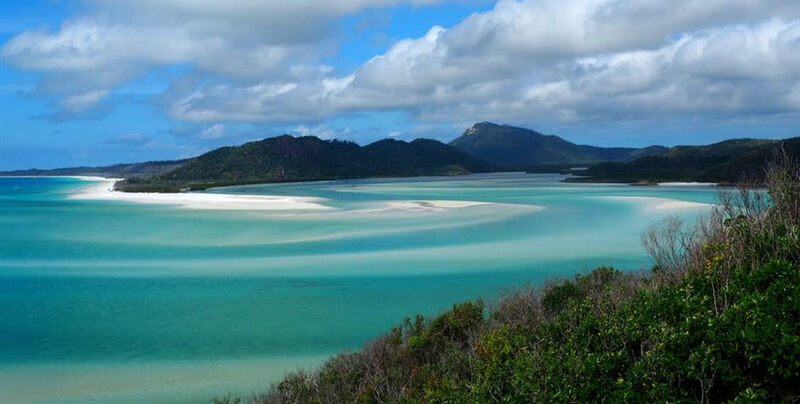 Your crew will then show you to the stunning Whitehaven Beach. This 7km stretch of sand is made up of 98% pure silica and will help cleanse your skin while the sea air cleanses your soul! 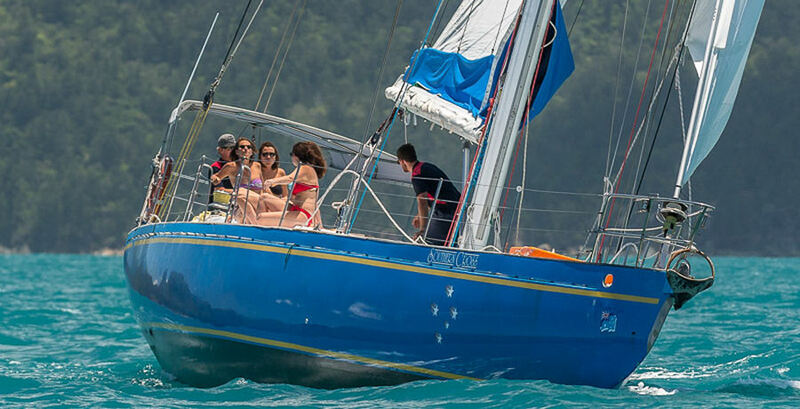 Lunch will be served back on board the Southern Cross as you sail to your snorkelling destination. The crew will choose the best fringing coral reef for the weather conditions to ensure you have the underwater experience you deserve. 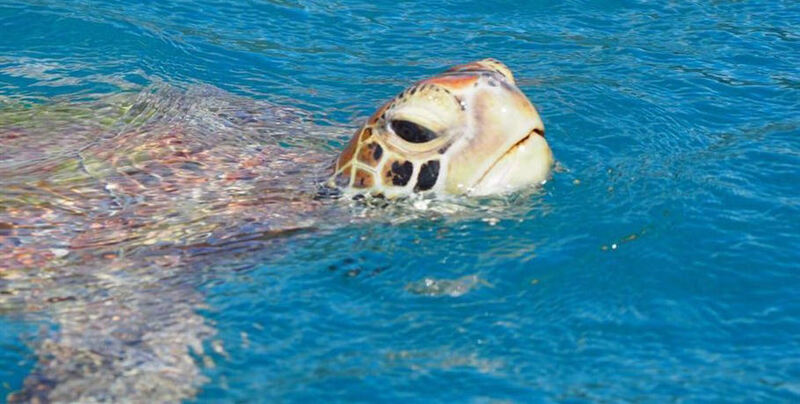 The vibrant marine gardens always contain spectacular corals and an abundance of colourful sea life, but you may also have the chance to see turtles and other larger animals depending on the season. 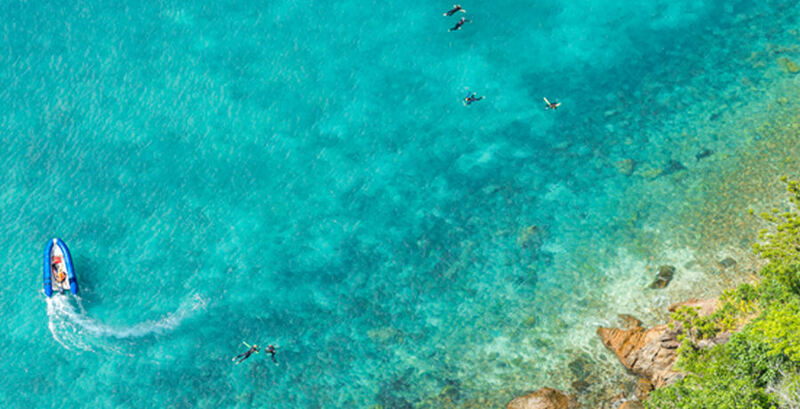 All snorkelling equipment will be provided, and a safety briefing will occur prior to you entering the water. After snorkelling, dry off back on the deck of the Southern Cross as you set sail home to Airlie Beach. Your crew will over fruit and cheese platter and you are welcome to join in the sail or simply relax and enjoy. Arrival will be at approximately 5-5:30pm and your courtesy bus will be available to take you back to your Airlie Beach accommodation. We recommend all guests have travel insurance to protect against cancellations. Cancellations from 30 to 60 days of departure will result in loss of 25% of ticket price. 14 to 30 Days before departure, loss of 50% of ticket price. 14 days to departure will result in forfeit of full trip fees.Where full payment has been made, and we can re-sell the space on the departure, we will refund ticket price less 20% (not including commissions or bank fees).The Operator cannot guarantee refund of the travel agent deposit component.Postponement/Transfer of a trip by an individual, will be allowed 14 days prior to departure, so long as we have capacity on the alternative date. An Admin Fee ($40) may be applied to postponements or transfers. Postponements under 14 days before departure will be given due consideration based on the merit of the circumstances causing the postponement, such as a medical emergency. In all cases the best advice for a customer is to hold applicable travel insurance and the final discretion remains with the Operator of the tour.Please advise guests that the sooner they speak to us in regard to possible delays the easier it is to find suitable options for our guests. The Operator strongly recommends that all guests have travel insurance to:Cover valuable items, e.g. cameras and luggage.To protect against unforeseen cancellations or late arrival into Airlie Beach for any reason (includes road closures, flight cancellations) which subsequently leads to missing the scheduled departure time.Cover medical conditions that may occur during carriage, and the associated extra costs of accessing medical care around the islands, including emergency air evacuation.Cover against an emergency where you need to return home urgently, e.g.. a family member becomes very ill.For peace of mind guests should understand the fine details of the cover included for the Travel Insurance to ensure that it covers the above.Ticket prices are in $AUD. 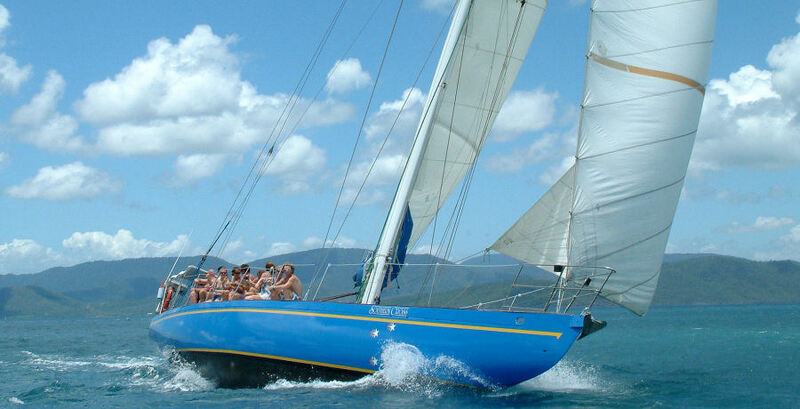 Prices include all Marine and National Park Fees, Services of Crew, Meals, Snorkelling Equipment. Payments with Credit Card will incur a 2% fee. Guests should note that Sailing can be a dangerous activity and while our crew will make every effort to ensure guest safety, we cannot be accountable for actions of guests that are beyond our control. Guests will be required to complete a pre-departure questionnaire, and sign a travel agreement during the check-in process. The Operator has the applicable Shipowners insurance to cover public liability for our guests and staff. A Copy of the certificate will be forwarded if required. Marine stingers can inhabit the waters, so we provide wet suits to minimise the risk of a sting. We request that all guests wear the wet suit before entering the water. The Operator has the right to refuse boarding of guests who arrive intoxicated or who are under the influence of illegal substances. While on tour, guests must abide by instructions from the Crew. Guests must also abide by the law and public nuisance, harassment, or anti-social behaviour will not be tolerated. Guests who refuse to follow instructions and jeopardise the safety and security of Crew, guests, themselves or the vessel may be restrained and / or removed from the tour. All associated costs of removal will be borne by the guest and no refund of ticket monies will be provided. Because many of the tours we offer are low guest numbers with sometimes only 2 crew, it is very important that the guests have basic English understanding. 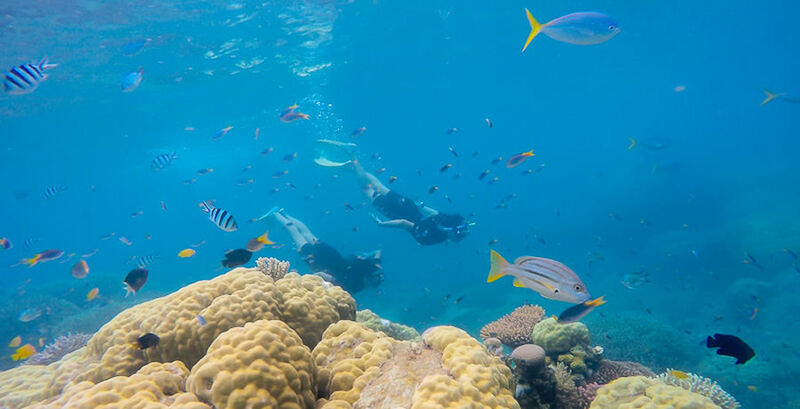 Guests will spend time snorkelling and swimming and it is critical for their safety that they follow the instructions from the crew, while they are participating in the activities. If customers cannot understand English, it is important that a companion travelling can speak English and translate for the non-English speaking guest. 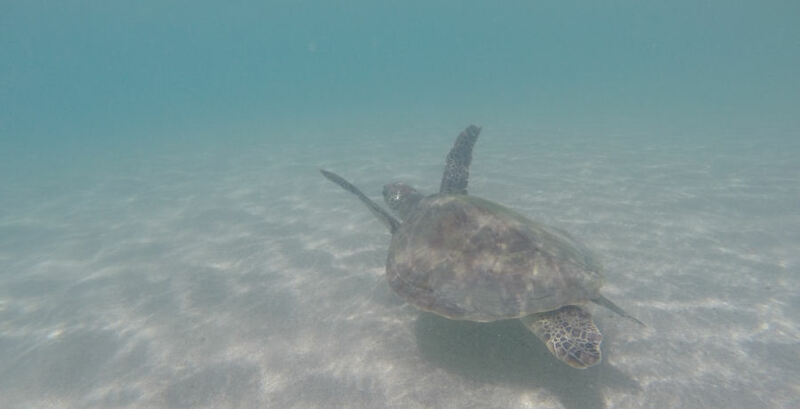 We do have snorkelling summaries in other languages, which are provided for guests to read. If guests have any concerns at all, please contact us. The Operator reserves the right to alter the tour or the itinerary of any of it's tours and organise alternative carriers to those advertised if necessary. 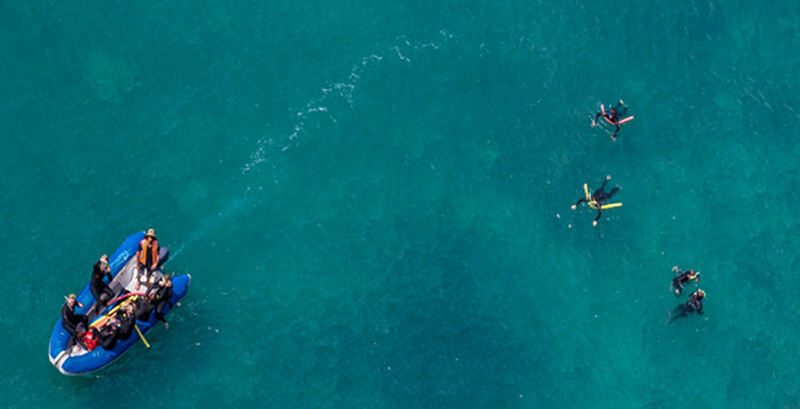 The Operator will always consider the comfort and safety of guests and staff and as a result, some of the Whitsunday Icons may not be visited if the wind, visibility or tidal conditions are not suitable. 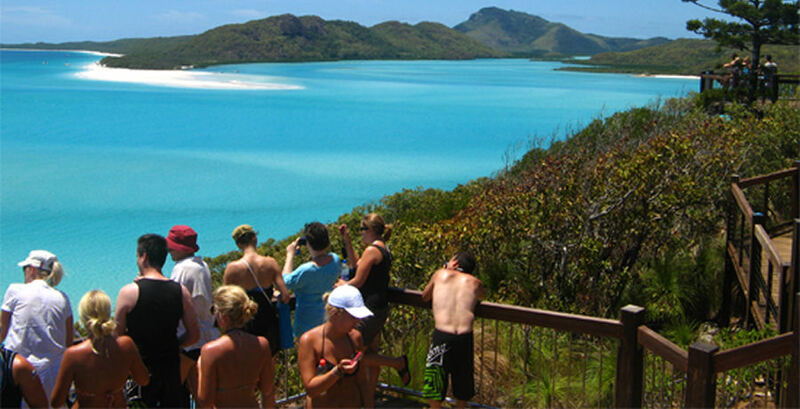 If it is raining, our tours still operate, as the guests can still experience the Whitsundays, including swimming and bush walking. 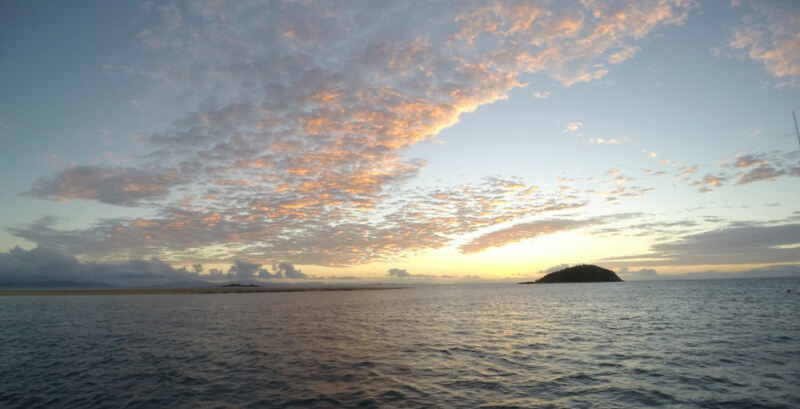 If the winds are light, the tours will still run, however, it will be necessary to use the motors on the boats to get to the stops around the islands. 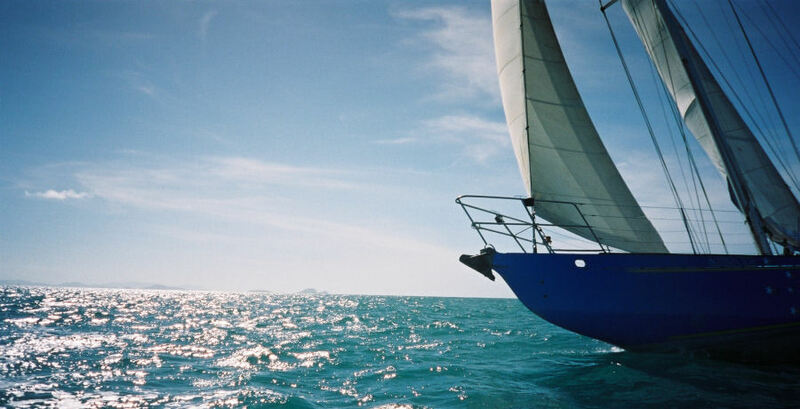 We do not provide any guarantee that the winds will be consistent and from the correct direction to make sailing always possible. Where we do not meet the minimum number of guests to operate a service, it may therefore be necessary to cancel a scheduled departure and to offer an alternative tour of similar or higher standard, or alternatively full refund for that tour. Where a tour of lesser standard is arranged, any difference in the ticket prices will be refunded. A Web Check-in Service is available, day tour guests may use the web check-in and then go direct to the marina after web check-in. If we are obligated to cancel your travel arrangements for any reason, the liability of will be limited to a refund of all monies paid by you.